Researchers using the genetic-editing technology CRISPR have successfully modified the DNA in cells from Huntington’s disease patients. The feat shows it might be possible to to use CRISPR to treat Huntington’s, which is currently incurable and fatal. CRISPR is a way to edit DNA cheaply and efficiently; researchers think it could transform the ways we treat any sort of genetic condition. 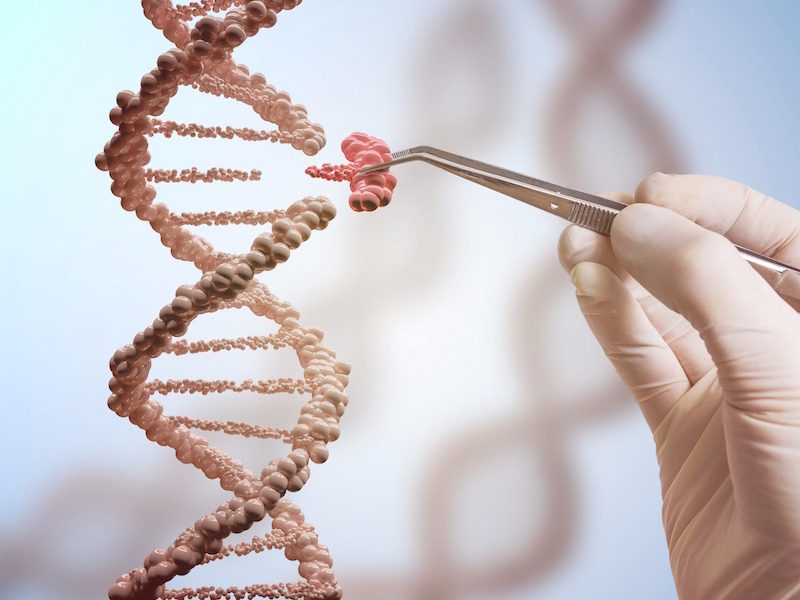 But before CRISPR can be used to edit the DNA of living humans, scientists say it needs to be made safer and more efficient. In people with Huntington’s disease, the nerve cells of the brain start to break down over time. The disease is fatal, often within 10 to 30 years, and as of now, there is no cure. But Huntington’s disease is caused by a single genetic mutation– it’s triggered by an inherited gene, making it something researchers call a Mendelian disorder. Because of that, it’s a prime target for scientists working with technologies that edit specific parts of genetic code. In a recent study, scientists took a step toward using what’s often referred to as the most revolutionary genetic technology in existence, CRISPR, to tweak the genes that cause Huntington’s. In people with the disease, due to a certain repeated section of genetic code, a toxic protein gets produced that accumulates and causes neurodegeneration. Usually symptoms begin to appear when patients are in their 30s or 40s. People start having trouble controlling movements and balancing, which is followed by difficulties with speech and swallowing as well as cognitive problems. But a group of researchers from Poland were successfully able to edit cells from Huntington’s patients. The team took cells from those patients, and used CRISPR to slice and inactivate disease-causing sections of DNA. That drastically reduced the amount of neurodegenerative proteins produced – by approximately 70%. “Our strategy is safe and efficient, and no sequence-specific side effects were observed,” Dr. Marta Olejniczak, an associate professor at the Institute of Bioorganic Chemistry in Poland who led the study, said in a news release. Getting to the point when we can safely and accurately edit genes to treat Huntington’s disease with CRISPR would be a huge deal. Not only could this enable researchers to treat what has long been considered an incurable disease, it may also indicate that other Mendelian disorders like sickle-cell anemia, Tay-Sachs disease, and cystic fibrosis could be effectively treated with similar CRISPR techniques. Demonstrating effective use without side effects is a big step in getting there. But showing that a method works safely in cells is many steps away from using a treatment in humans. CRISPR is essentially a cheap and easy way to edit DNA. The tool involves a small group of molecules that uses RNA to find a specific section of DNA that it can tweak. 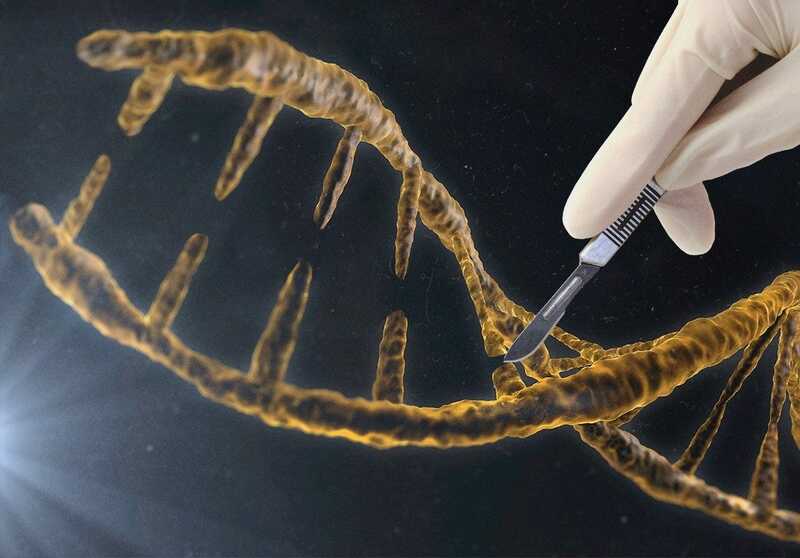 It can cut a section out, add in new genetic material, or even replace an undesired section with new genetic code – a biological “find-and-replace” operation for genetic code. Jennifer Doudna, a biologist at the University of California at Berkeley, is credited as one of the first researchers to discover CRISPR. If the tool proves successful in people, it might be possible to do far more than address genetic disorders. Scientists could change genes to reduce risk factors for other diseases and potentially even improve human health in other ways. As the researchers wrote in the new study, prior studies have used other genetic editing tools to prove it was possible to remove the segment of genetic code that’s responsible for Huntington’s. Unfortunately, doing so created new complications, especially when genetic editing tools sliced both of the connected strands of DNA. Editing genetic code with CRISPR can lead to unintended consequences, too. Researchers have been able to successfully make desired edits by delivering a package of CRISPR molecules to cells, but sometimes these packages have only made some of those edits, not all. Other times, the tool has made too many undesired off-target tweaks, which could be dangerous. The Polish team used what’s known as a CRISPR Cas9 nickase. Instead of slicing both strands of the DNA double helix (something that can result in new undesired mutations), the nickase just slices one of the strands, which the study authors wrote can make for a much more precise edit. At least in the cells they tested, that approach worked. However, researchers say they will still need to make this method more precise and better understand it before it could be tried in people. For now at least, there’s still a lot we don’t know about how modifying the genetic code affects patients. But making modifications without causing off-target effects is an exciting, important step toward eventually using CRISPR to help people. Researchers think it could even be possible to edit human embryos and remove the sections of genetic code that cause these diseases before people are born.